New York City real estate takes love and passion—not to mention, an in-depth knowledge of the neighborhoods you operate in. This is especially true for agents who specialize in trending neighborhoods in Queens, the borough Business Insider called “the hottest” in NYC. 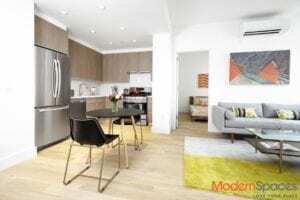 Whether it’s showing hip Astoria condos or LIC luxury rentals, the team at Modern Spaces knows this borough better than any other real estate firm and wants to help you find your ideal home in Queens. Learn more about Modern Spaces from the agents themselves! Meet Steve Lelekidis, Licensed Associate Real Estate Broker. Why did you become a real estate agent, and what is your favorite part of your job? I became a real estate agent while working part-time as a college student. After seeing how many people I met and all the relationships I built in such a short time, I became intrigued and wanted to do more of it. Helping people find a place to live made me feel like I played a significant role in a big life decision. What neighborhood do you specialize in, and what makes that neighborhood a special place to live? I specialize in Astoria, Queens. I was born and raised here, so my knowledge of the community makes my job more meaningful. The proximity to Manhattan is ideal for commuters, but the fact that we have tons of culture and history right here in Astoria means that residents really want to stay for a long time. 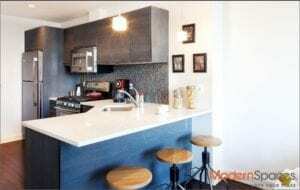 What makes Modern Spaces special in comparison to other brokerages? Clients never like to feel like they are being overlooked or intimidated by their broker. Modern Spaces offers the professionalism of a large company but the personal touch of a mom-and-pop brokerage. If you could give one piece of advice to someone looking to rent or buy an apartment, what would it be? My advice to anyone looking to buy or rent an apartment is to pay attention to your gut feeling the first time you enter it. There is always some part of you that knows this is the right place. 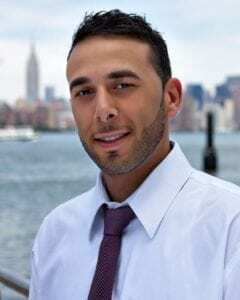 If you’re looking for an Astoria condo or rental, be sure to connect with Steve by visiting his agent page, or visit his Facebook page!